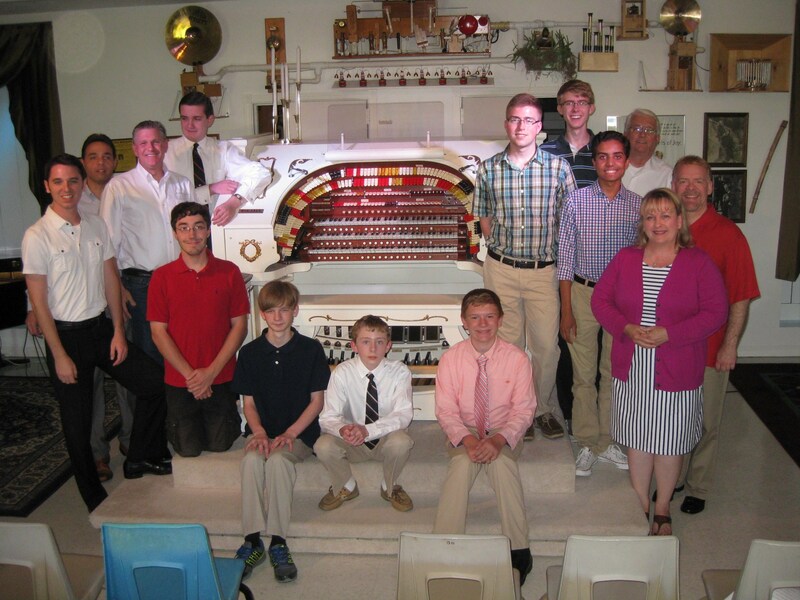 is a week-long event designed for young theatre organ enthusiasts who are interested in learning, developing, or refining their skills with the theatre organ. During the week, students will attend a variety of instructional sessions, master classes, and open console time designed to improve their theatre organ knowledge and skills. 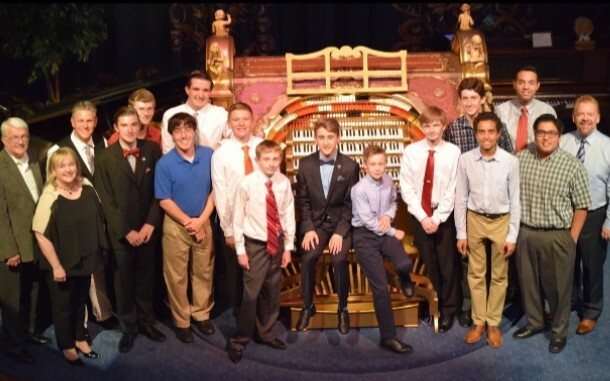 In addition to the invaluable instruction and learning opportunities, students will forge lifelong friendships with other young enthusiasts who share their passion for the theatre organ. Read a review of the 2017 Summer Youth Adventure from GSTOS President Michael Cipolletti. 1790 E. Park Pl. Blvd. 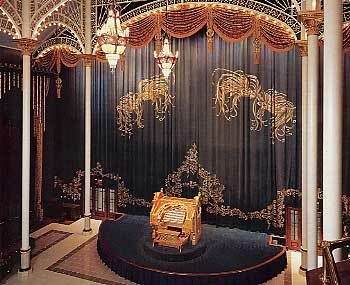 Instruments: Atlanta - Stephenson High School Page, Atlanta Fox Moller, several Allen Digital theatre organs. ATOS currently sponsors one SYA per year which is typically held in July. The location of the SYA changes from time to time so that the event can be held in many different regions throughout the United States (e.g., East Coast, West Coast, Midwest, etc.). In recent years, the SYA has been held in a geographic region for two consecutive years, and then moved to another geographic region for the subsequent two years. ATOS will try to maximize the regions of the United States where the SYA is held, although the timing and location of any particular SYA will depend on availability of venues. At each SYA, there is a primary teaching venue where the majority of instructional sessions and master classes take place. Additionally, group field trips are scheduled to visit other noteworthy instruments in the area. During these trips, students will have the opportunity to enjoy open console at the instruments where possible. The SYA is a five-day event (Monday through Friday). Students should plan to arrive no later than mid-afternoon on the Sunday prior to the event. Typically, there is an optional “meet and greet” party on the Sunday evening prior to the official start of the SYA on Monday morning. Students should plan to depart on the Saturday following the SYA. On the days the SYA is located at the principal teaching venue, instruction starts promptly at 9:00am. The morning sessions usually run from 9:00am to noon, with instructional sessions lasting approximately 50 minutes followed by a break of 10 minutes. The students have a lunch break from noon until approximately 1:00pm. The afternoon sessions last from 1:00 to 4:00 and are usually dedicated to master classes, group instruction, open console. Frequently, the students visit other local venues during the afternoon sessions. Dinner is provided from approximately 5:00 to 6:30. Depending on venue availability, additional open console opportunities may be available following dinner. Students typically return to the SYA hotel between 8:00-8:30pm. Each year, a core teaching faculty plans and develops the SYA curriculum. The material presented at each SYA changes from year to year, and care is taken to ensure that topics presented are relevant and interesting to students at all levels of study. The SYA core teaching faculty consists of Jonas Nordwall, Donna Parker, Jelani Eddington, and Martin Ellis. In addition, the SYA invites one or more visiting instructors each year to present topics related to their areas of expertise. All travel between official SYA venues and events is provided for students and accompanying parents/guardians during the week in passenger vans. Students and accompanying parents/guardians traveling by air or rail should plan to make their own arrangements to get to and from the airport/train station. While the SYA will do its best to accommodate special requests for pick-ups and drop-offs, the SYA cannot guarantee the availability of support staff for such requests. Any special transportation requests or needs should be brought to the attention of the SYA staff as soon as possible. You may submit a check with the application, but we prefer online payment. Click on the button below to pay. You'll be sent to Paypal's site to finish the transaction. Paypal accepts both Paypal accounts and major credit cards. The cost is $325.00. Please click the button below to proceed to our payment system (opens in new window).